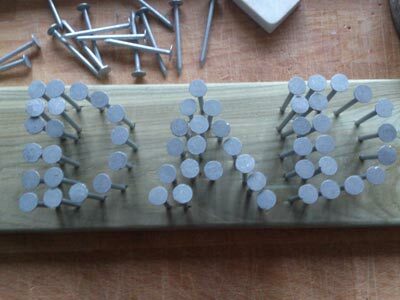 If you are looking for a Fathers Day gift that the children can make for Dad this year, why not have a go at our nail art? 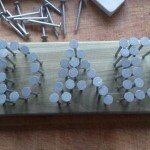 It uses very basic skills, and a few cheap materials. 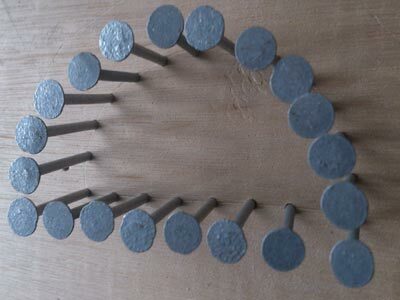 If you decide to have a go at our wall plaque, then do send us in your results, we love to see how you get on with our projects. 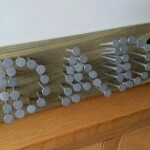 The finished article, proudly displayed! 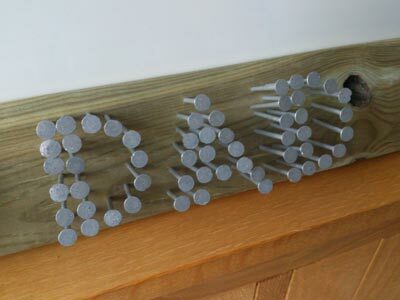 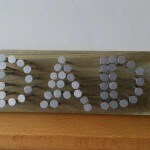 The nails don’t have to be too even – they can be rustic and handmade, depending on the age of your child or your skill! 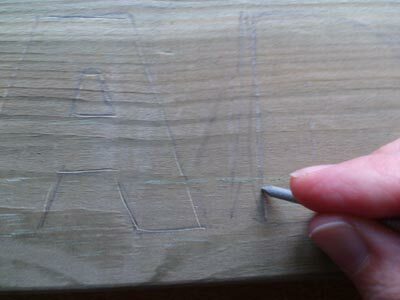 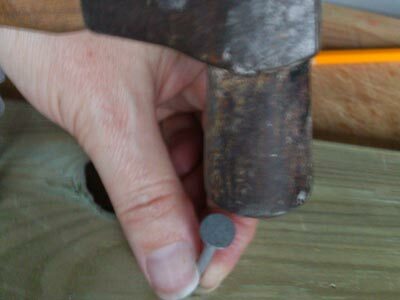 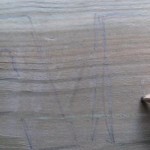 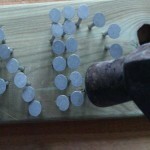 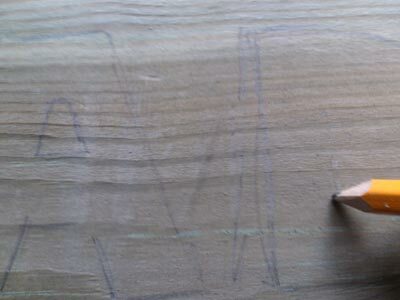 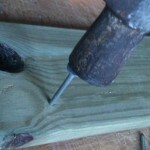 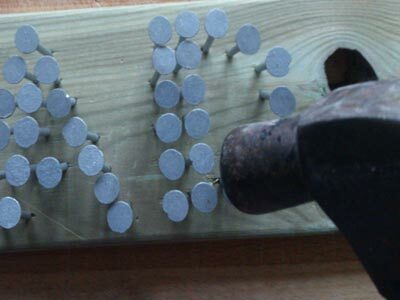 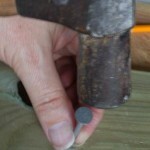 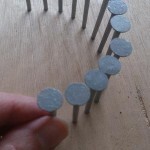 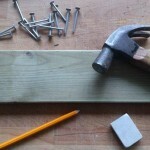 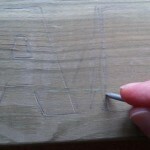 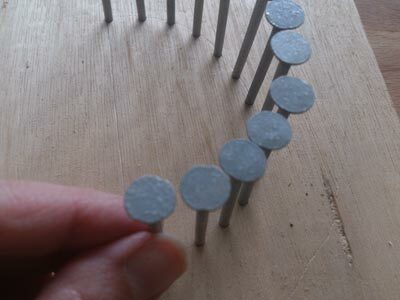 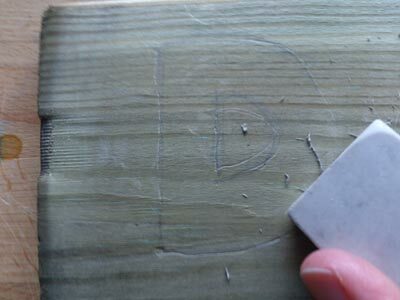 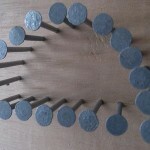 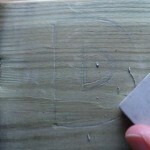 Hammer the nail into the wood along the lines – mind your fingers! 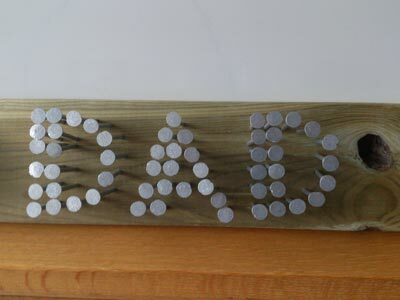 Dad can hang it on the shed door, or you could screw some cup hooks in the base and turn it into a key holder. 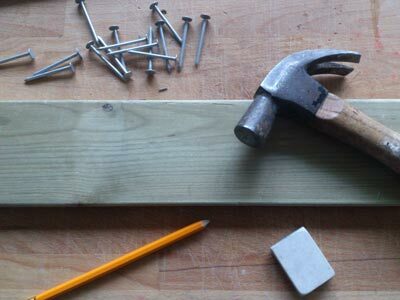 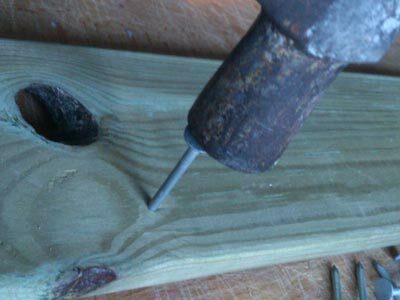 If you want to fix it to the wall DIY Doctor has a project about fixing to masonry which explains how to drill the holes in the wall, which drill bit to use, and which wall plugs to use to make your project secure on the wall.